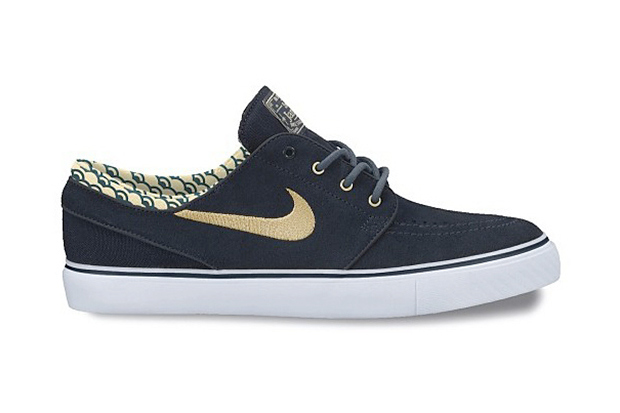 Nike Skateboarding drops another simple Zoom Stefan Janoski in the form of this 'Armory/Navy' combination. Releasing this month across the nation, Nike Skateboarding hit these with a premium suede build covered in a classic navy hue. Gold accents over the stitched Swoosh logos on each shoe, matching the unique pattern put to use along the collar area. Finishing them off, we see a white vulcanized rubber sole below. Look for these to hit authorized Nike Skateboarding accounts in the coming weeks.